I got an ISD1820 recording module and I don't know how to use it. I searched Google but all the projects had a different kind than mine. Google showed one with the same components but it had switches, and mine has no switches and 2 buttons and a red button. Can you tell (and maybe show) me how to use this? more serious, it will be very hard to offer help with so little information. - post a link you bought the module? thank you for the code! It helped a lot! i manage to upload the code but no sound in my isd1820 ?? 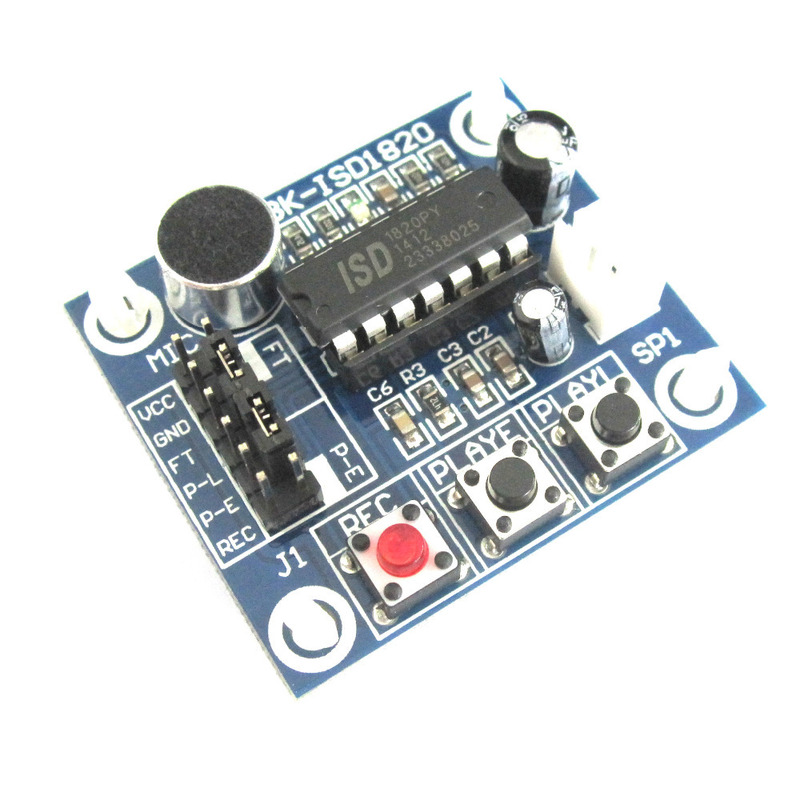 i'm using arduino uno, and isd1820 just like BilHo picture, please anyone can teach me ?? Asking for help is fine, but you need to do some work yourself, that is the way to learn! You will notice that a data-sheet was posted. Is this the correct data sheet? As far as I can see Novoton do not make a IDS1820! (it's not mentioned in the data sheet explicitly) see here . Your first job is to learn how to get the most information out of these data sheets. The manufacturer does not want to hide information from you, but the information is concise and in some cases can take a lot of understanding. These publications are aimed at 'technical' people, not 'noobs', but once you are familiar with them, they become easier to understand. The data also covers different disciplines, e.g. info for circuit designers, PCB designers, PCB manufacturers, programmers etc. so not everything is necessarily of use. This particular sheet is pretty 'user friendly'. You will also note that the board has a microphone - no provision is made on the PCB to inject a recording as it stands, nor data file. If you look further, you will find no mention of MP3 in the data sheet, this codec may be used internally, but as far as we are concerned, the device is a black box in this regard. Although we know in this case that MP3 is not used as we are told that is uses a propriety record/playback system (pp9) "Nuvoton's patented ChipCorder technology"
Being patented means that the information is available in the public domain if you want to know more. If you examine the schematic, you will not see provision for data transfer (adding MP3 et al files). You will however see input and output conditioning, a push-pull 8 ohm amplifier and the fact that the chip runs at 3V! Try to understand the code. 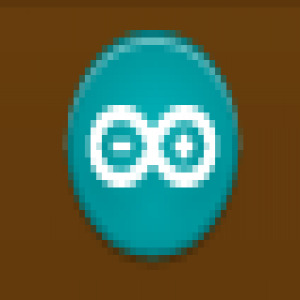 The code submitted is basically an echo machine, recording for 10 seconds, pausing and then playing back what was recorded, before starting again. Why did he select 10 seconds? Is it correct? (AND of course this is a different chip). What is the effect of the looping on the chip? The best way to get help is to say, I'm trying to do this, I've tried this, and I used this information. At least show that you have made an effort. The web makes it too easy to be lazy and let others work for you, time was when one wrote to the manufacturer for data sheets and waited for the postman! Don't pay for data sheets, manufacturers always give them free.